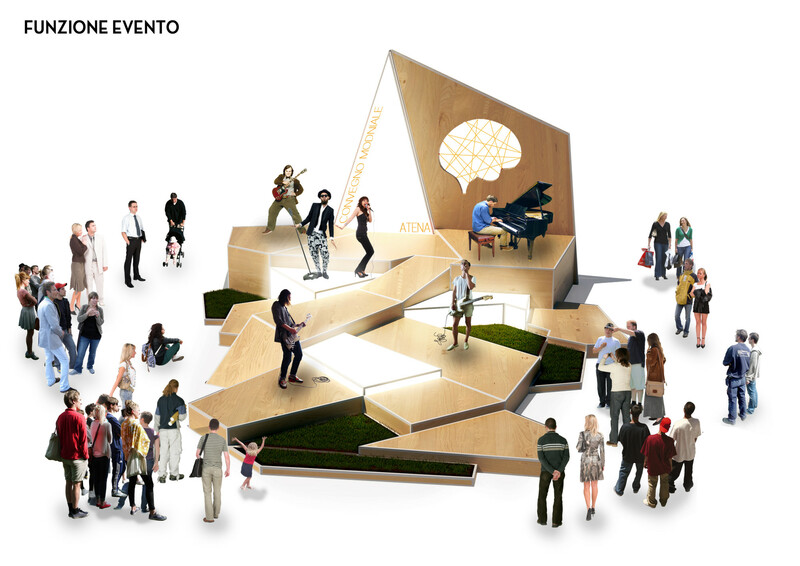 BRAINet is not only a symbol for the World Congress of Neuroscience, but also a space of aggregation and socialization, sited in the charming setting of Piazza di Pietra. It comes from the dual need to advertise the global conference sponsored by the foundation Atena, setting an area able to offer new functions and activities during the day of the conference. The concept of a network has led the project through all its phases. 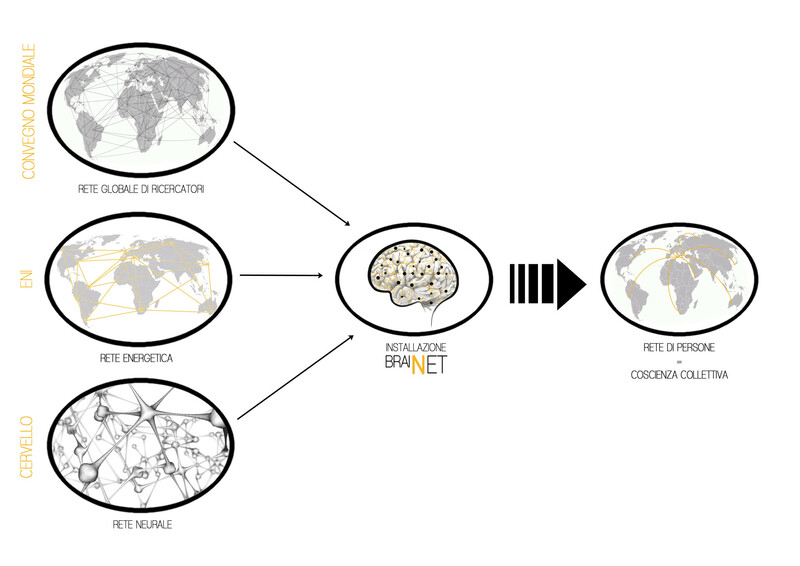 BRAINet, in fact, comes from the idea of linking the World Congress of Neuroscience, intended as a global network of researchers who come together to pool their knowledge and progress with research, with the neural network in which each pulse contributes to generate thoughts. 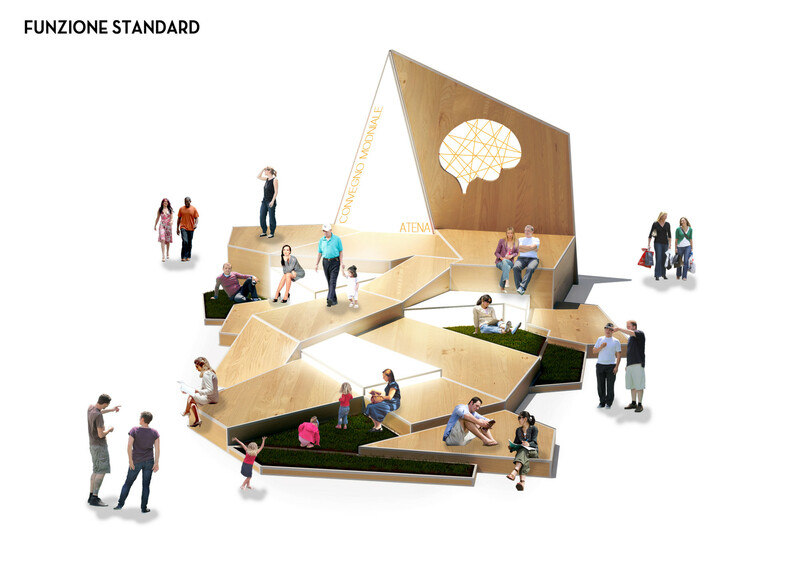 In this regard, the installation is also equipped with an interactive system that allows to share ideas, thoughts, and experiences with the rest of the world, creating a collective consciousness. A real “brain” of Rome. 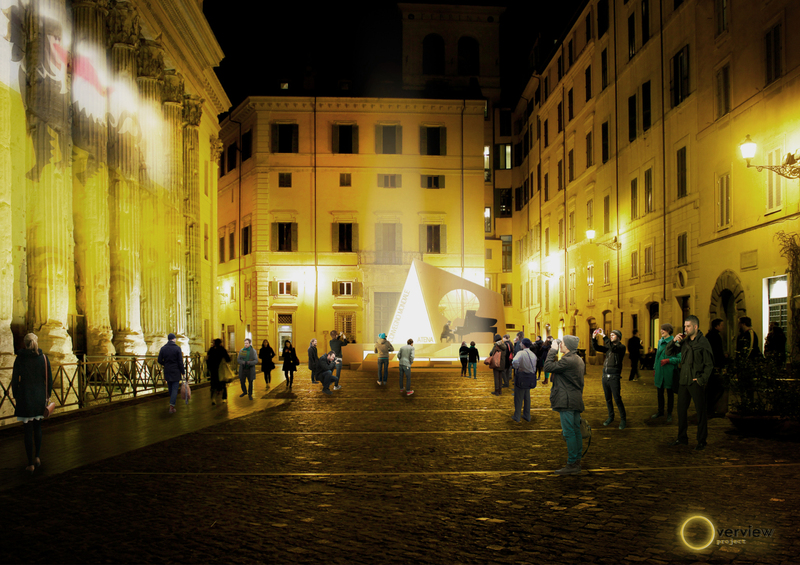 The poor usability of Piazza di Pietra for the lack of street furniture has led, as a result of careful analysis of everyday flows, to design an installation symbol of neuroscience conference that can accommodate everyone in the square. It is inserted in the less traveled area to avoid interference with the daily flow of crossing visitors, ensuring a meeting space from the dual functionality. In fact, thanks to a complex system of platforms , BRAINet becomes at the same time a great stage to accommodate performances, exhibitions and conferences, and a place where to lay down and rest. 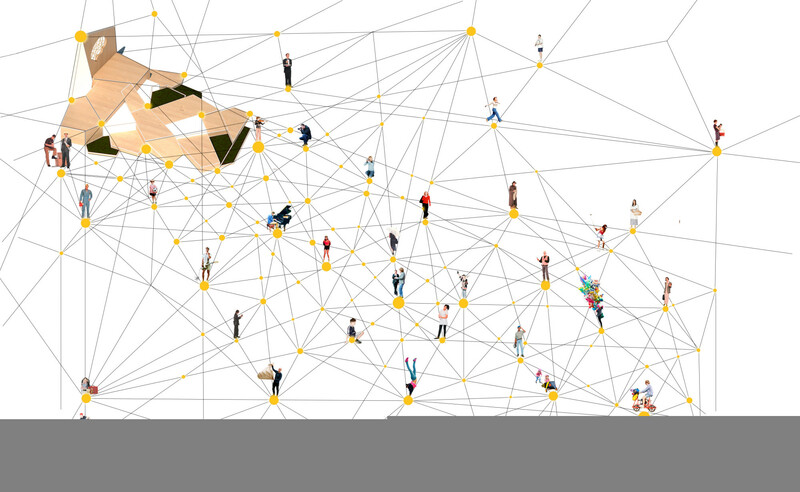 The idea of a linking system is well embodied in the structure as well: it identifies a network developed in three dimensions, generating the different platforms that make up the installation . These are differently characterized: with a grassy on top, with lighting elements, with a stage and sittings, so as to obtain a polyvalent space and usable by everyone. 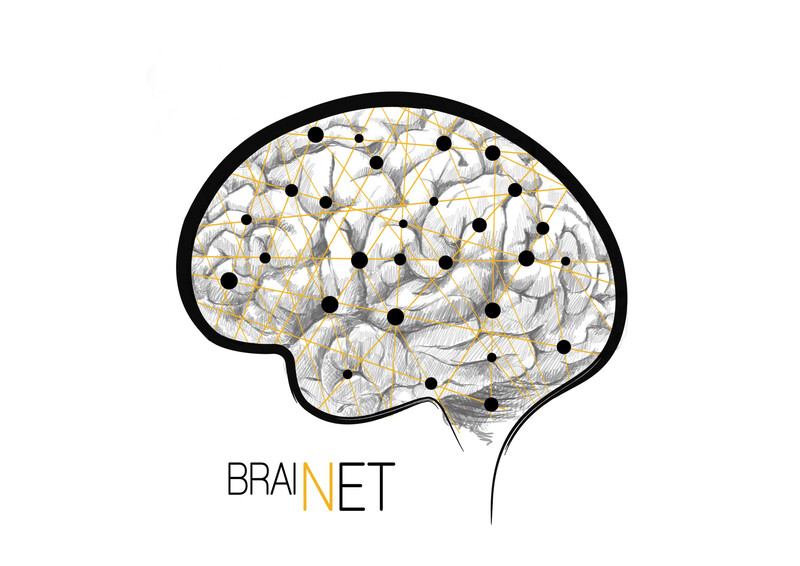 BRAINet, therefore, is identified as the nodal element of a social and relational interaction, belonging to scientific research and dissemination of the same International Conference of Neuroscience and specifically to Atena Foundation activities. with: Luca Gaetano Malvasi, Marco Tarquini.